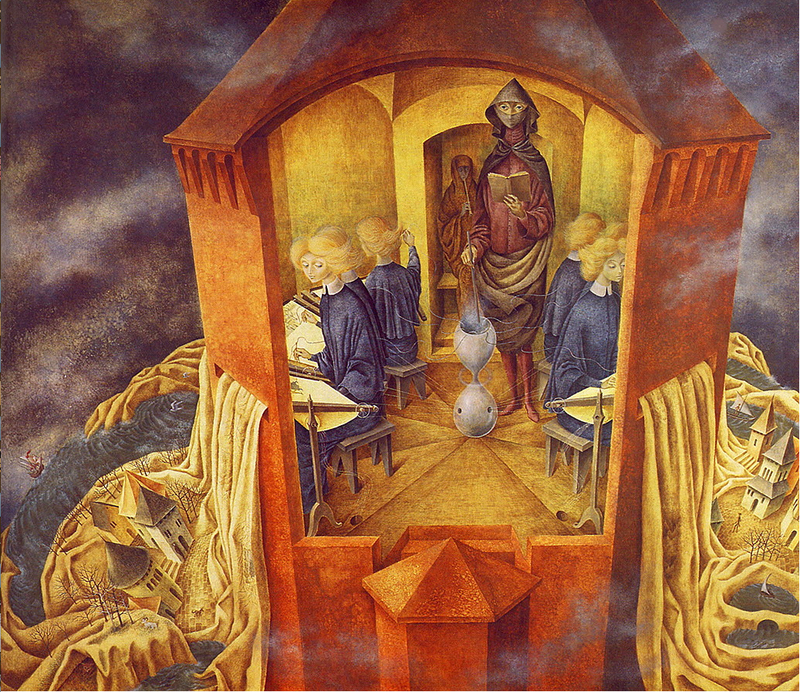 “Bordando el Manto Terrestre” [ Embroidering the Earth’s Mantle ] (1961) by Remedios Varo. The Cowpattyhammer management apologizes for having closed “Make It New!” so abruptly. 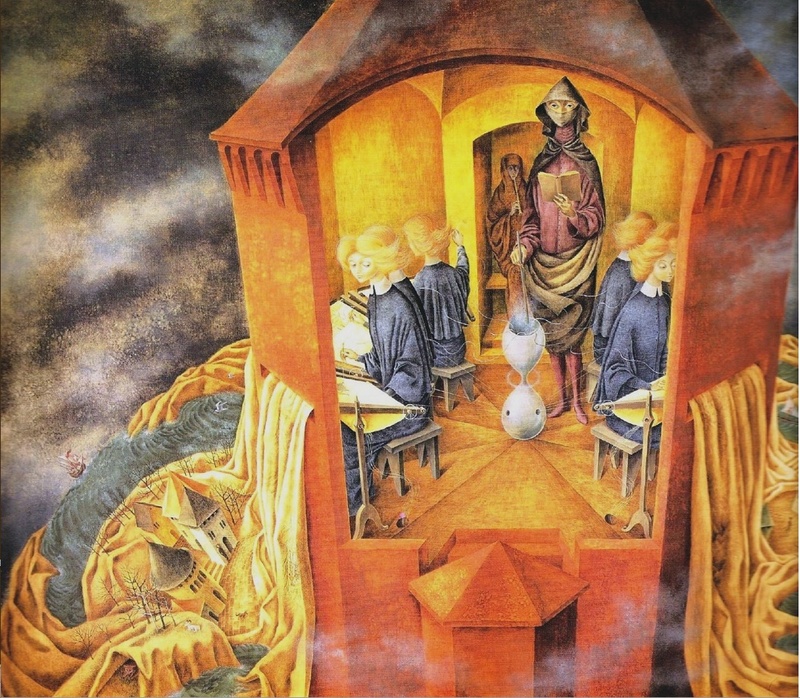 One of the casualties was that we never got a chance to look at this painting by the Spanish-Mexican painter and anarchist, Remedios Varo. The title means “Embroidering the Earth’s Mantle,” and the imagery is probably the closest we got to the “secret” that was such an important part of the discussion. My own feeling is that with the exception of the sculpture of the tall Aborigine woman and her daughter that introduced the previous thread, this extraordinary painting was probably the most relevant. You can click here to look at the painting in more detail. Once you have moved in, the definition of the graphic is quite high so you can zoom in as much as you like. Indeed, I’d be very interested to hear what you see. In addition, if there are any matters arising from the previous thread do feel free to comment below — the management is very grateful to the increasing numbers of people who visited the site in the last weeks of the discussion, and would be very pleased to have more feedback. This thread is now closed for comments — 1 less than 80 is a lot, and I hope very much that those of you who have not had the opportunity to dip into it further will take the chance to do so. The thread was designed to deal with some of the issues that were left hanging at the end of the previous thread, “Make It New,” which ended upside down in the grass. Those issues are stalled for the moment, needless to say, but I think the final discussion of Emily Dickinson’s “haunted house” imagery probably took us as far as we could go anyway, under the circumstances.